Looking our galerry and ask we about Vehicle Inspection Testing.. visit us.!  SAE MITRA SEJATI are not only sales market high quality product, but also offering excellent service to meet the need of our customer. If you have any question or worry in case of function of products, technical requirement, maintenance issue or product warranty, etc. you are welcome to give us your feedback. Manager Marketing, offers a solution to the selection of effective equipment. so that the needs of the consumers. Technician, providing services on how to use the device and maintenance as well as providing solutions for live-time.